Specializing in songs of the Golden West, Daughters of the Purple Sage are internationally acclaimed for their smooth vocals and polished harmony. You'll be delighted by the trio's nostalgic signature arrangements of such classics as Tumblin' Tumbleweeds and Shenandoah. Click here for The Daughters three recordings; Songs of the Golden West, Out Wickenburg Way, and Back in the Saddle. Watch for the release of the "Best of Daughters of the Purple Sage" 2 set-CD just in time for the holidays! From the sagebrush to the Silver Screen; from western swing and to the big bands; from dude ranch campfires to renowned concert halls of Europe - the Elliott Sisters bring exciting new life to classic western tunes, soulful ballads, and the swing, jazz, and blues genres of the 1930s and 40s. 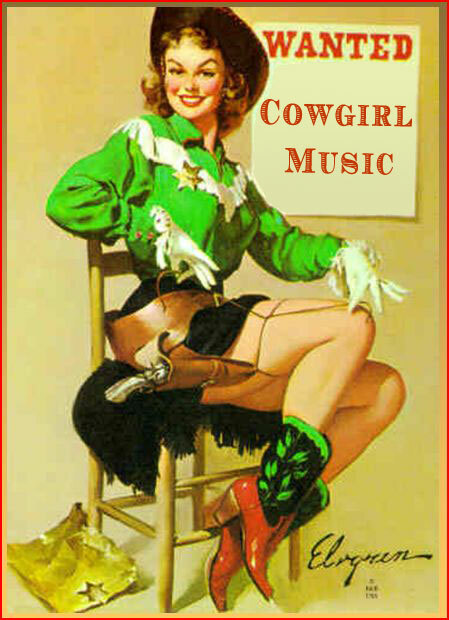 Cowgirl Music is your trading post for top quality Retro-American entertainment, recordings, and Music Education for all ages. Scroll down to find The Elliot Sisters, Carolyn Baker, and Daughters of the Purple Sage - all available to bring live retro entertainment to your next social event, goat roping, holiday party, or cattle drive! Carolyn Baker specializes in community music. Her specialty is bringing the history of early California settlers to life through the folk music, instruments, clothing, and dance of the day. Her sequential residencies are designed for students grade K-5 and culminate in the multi-disciplinary, "Great American Music Gathering", featuring student artists as narrators, singers, and dancers. Click here for info on Carolyn Baker's CD, Lasso the Moon, her book The Harmony Handbook, Harmony Workshop calendar, and CowgirlUp! Western Review.